Photo credit to Travis Ross. On March 5, the Winnipeg Folk Festival announced the lineup for its 2015 event. Artists such as Wilco, Jenny Lewis, Arlo Guthrie, Edward Sharpe and the Magnetic Zeros, Jose Gonzalez, Kurt Vile, Shakey Graves, and Bahamas will take the stage in Birds Hill Park in July. “With this lineup, we are honouring folk music by embracing the evolution of folk while staying true to the traditions of Folk Fest,” said Folk Festival artistic director Chris Frayer to the press. Headlining this year’s festival will be alternative-country act Wilco, indie-folk band Edward Sharpe and the Magnetic Zeros, and the classic Arlo Guthrie. Wilco is an established alternative rock outfit from Chicago, led by singer-songwriter Jeff Tweedy. Wilco formed in 1994 and has gone on to release eight studio albums. The band’s most noteworthy release is 2002’s Yankee Hotel Foxtrot. This release saw the band gain both critical and commercial success with an experimental, yet accessible sound to their music. This album featured the now classic songs by the band, including “Jesus, etc.” and “I am trying to break your heart.” The album has been cited as one of the best and influential albums of the 2000s. While Wilco frontman Tweedy has played the festival in previous years as a solo artist, this will be the first time Wilco will take the stage at the Winnipeg Folk Festival. Edward Sharpe and the Magnetic Zeros are a 10-piece indie-folk band based out of Los Angeles, California. Led by singer-songwriter Alex Ebert, the group gained notoriety in 2009 with their single “Home,” a song that was played on both college and top 10 radio stations. Following the release of their debut album Up from Below in 2009, the band’s latest release is a compilation album of the band’s live recordings entitled Live in No Particular Order: 2009 – 2014. Arlo Guthrie will be better known to the boomer generation as a folk hero for his songs of social protest. His 18-minute blues ballad “Alice’s Restaurant Massacre” is sure to be a crowd favourite for all ages. Gutherie is currently on tour as “Alice’s Restaurant Massacre” celebrates its 50th anniversary. The 2015 lineup includes an eclectic mixture of artists spanning many genres. From indie freak folk bands such as Dan Mangan + Blacksmith, to high-tempo bluegrass bands such as Trampled by Turtles and Shred Kelly, the 2015 folk fest will have something for everyone. The festival is also presenting the up-and-coming such as artist Steph Cameron. The Saskatchewan-born artist brings prowling folk music coupled with banjo-style fingerpicking on her acoustic guitar. After busking throughout Canada, Cameron went to Toronto to record a single song entitled “Goodbye Molly.” As the recording session progressed, the artist soon found herself recording 13 songs. These tracks, recorded on a retro two-inch tape, comprise her debut album Sad-Eyed Lonesome Lady, released back in September of 2014. World music artists are also present on this year’s lineup. Nahko and Medicine for the People, a world-music collective who promote indigenous-led causes such as “Honor the Treaties,” as well as India-based group the Barmer Boys are representatives of the current world music scene. As the Winnipeg Folk Festival, the organization has not forgotten local artists on the 2015 lineup. Indie electronic outfit Royal Canoe, salsa-inspired the Mariachi Ghost, and singer-songwriter Slow Leaves share the bill alongside the international and world-renowned headliners. In October of 2014, it was announced that the festival would return to its previous four-day format. The festival added the fifth day in 2009 in order to book English singer-songwriter Elvis Costello. “In fact, a four-day festival gives us a more concentrated artistic budget to bring in the acts audiences want to see,” explained the organization’s blog. With an extra day removed from the scheduling, the festival was also able to bring down the price of the early bird festival ticket price by $40 to $185 for the full four days. 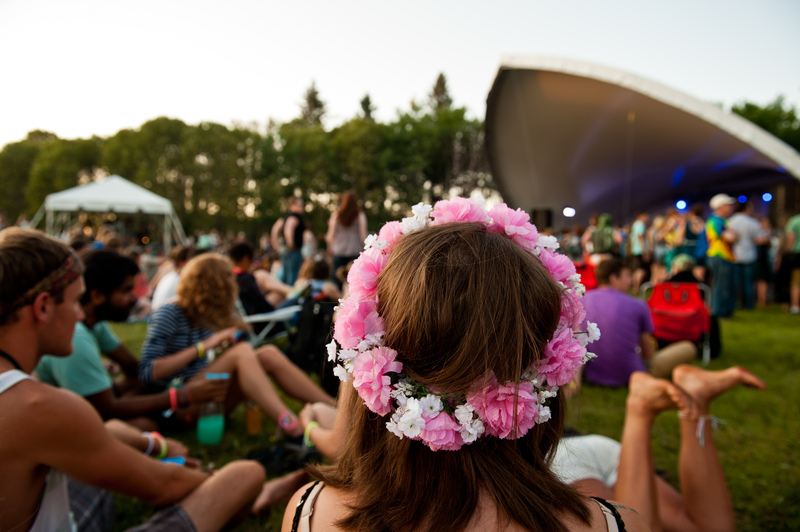 The Winnipeg Folk Festival is a non-profit organization that helps promotes folk, roots, and singer-songwriter musical events in the One Great City! The organization continues to expand into new ventures in a city with eight months of winter. On Jan. 15, Folk Fest Thursdays was announced – a bi-weekly concert series at the Good Will Social Club. On April 8, the Winnipeg Folk Festival will be presenting Australian ska and jazz band Cat Empire at the Burton Cummings Theatre.